What if you could drive the future, today? I rather like this commercial. Nice and friendly and gets right to some good leading questions about the value of owning an electric car. Last weekend I was able to rent a Nissan Leaf while in Daytona for the TTXGP World Championship. It was my first time having a Leaf over a long period of time. It was really nice. Re: What if you could drive the future, today? Nice article! The one quibble I have is until we get battery packs that are not significantly aged with charge/discharge cycles I'm not a huge fan of using cars as energy sources for the grid. My wife and I have been using a Leaf as our sole car for 9 months now and it working great. It is the perfect vehicle for our low-impact lifestyle. We still do most of our errands on foot or bicycle, but it is nice to have the car for hauling and inclement weather. Dave, your quibble is precisely what I find all those grid folks are completely ignoring. If I allowed the grid to "abuse" my car's battery for their purposes, I would sell the charge they take so expensively to them so that it completely offsets the loss of battery life it is causing. If the battery is leased like in Renault's thinking, this could be a non-issue, as long as the grid buffer usage was part of the lease deal and I wasn't paying that surcharge. But if I buy the battery, then it will be MY battery that I would allow no-one else to use and degrade for their own purposes, no matter how much they pay me. I mean, how would I deal with vehicle availability? As it is I am already always on my toes trying to ensure my battery is fully charged every morning for my commute to work and back again. That means I would block the grid's battery usage from Monday through Friday anyway. But on and off I also need my ride on Saturday and/or Sunday. So I would need to book my driving time ahead of time to ensure my battery wouldn't be depleted by the grid just as I wanted get going? I didn't put this concern into the article - but yes. I've talked with some EV advocates about that exact concern, and they said not to worry because the level of discharge at each car would be minor, and that in any case the utilities will pay $$'s for this service. But - on the money side, suppose the population don't know about this thing going on in the background, and the charging networks (ChargePoint, Blink, etc) get involved as the middlemen and take the $$'s paid for smart grid services? That's a scenario where the individual car owners might not see a dime. Hopefully the charging networks would deign to give free charging, but don't count on it. On the effect on longevity ... I stumbled across a paper recently about battery life longevity. 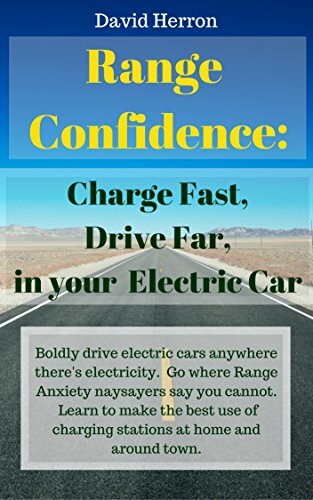 It wasn't entirely clear how to interpret the information, but suggested that a car with a small battery pack that sees frequent charge cycles (PHEV10, e.g. a Toyota Prius Plug-in) has a much shorter battery pack lifespan than one with a larger pack that sees infrequent charge cycles. But, suppose a car like the Leaf is routinely getting tapped for a couple kilowatt-hours in mid-afternoon, and then gets recharged by 6pm when it's time for the driver to go home? That's an extra small recharge cycle on the pack. What's the lifespan effect of this? Interesting question! As far as I have heard at least the Lithium-based chemistry loves medium-sized charge/discharge cycles. Similarly Toyota has kept their NiMH Prius batteries happy by allowing only 70-30% cycles (at least somewhere in that region). It is full charge/discharge cycles that stress such batteries, that is why battery lifetime is generally quoted for such full cycles, with cycle numbers rising steeply when the discharge is less deep. So if the smart grid would only take medium sips from electric car batteries the detrimental effect on battery life could be minimzed. But this would be a highly limiting factor for the grid buffering effect, and it would have to be controlled by the vehicles involved, not by power companies' wall boxes. Good points, guys. I suppose what we really lack is data. Hopefully people working on the smart grid are also working this end of the problem. I have had my Leaf for nearly 2 months and it's going great. So now I have a Leaf, 2x PDT electric scooters and a home built electric dirtbike, and a Prius. We only use petrol for long distance. I hope that one day I can travel to my parents house 650km away using electric, but until then, I'm still tied to petrol. Mind you, I don't fill up that much now. I'm currently building my own EVSE to charge my Leaf at 240v 15A using an Arduino and thanks to open EVSE google group. Because the supplied EVSE that you get in the boot of the Leaf only charges at 240v 10A, that's 2400w so a full dead battery can take up to 10 hours. At 15A it will max out the in-built 3300w charger, so a dead car will only take 7 hours. We have 415v 3 phase 32A but I can't use it because the home charge port only accepts 3.3Kw anyway. On my car - Karmann Ghia conversion - I started with a 3 kilowatt charger but one day had to wait the full 7 hours to charge before I could drive home ..etc.. and have since upgraded to a charger that maxes out at 8.5 kilowatts. The recharge time is now a bit over 2 hours. I think that fast chargers are the key much more than long driving range. In any case .. it sounds like you (PCarlson) may live in Europe? I recently put together a page about the Renault ZOE that was just shown at the 2012 Paris Auto Show and is apparently going on sale in a couple months. This car includes direct support for recharging from 3 phase AC at 32 amps for a 30 minute or so recharge. http://greentransportation.info/renault-s-43-kilowatt-fast-charge-system-for-zoe-and-other-e -- this is all the information I could find on the ZOE. Phil Carlson lives in the capital city of Australia. Zoe will be interesting, as it is the first European dedicated (not conversion) electric car and has some clever traits on board that should make it's use more intuitive range-wise than in most other electric rides, apart from maybe the Lito Sora super bike with it's automatic "Safe Range System™" function. And it is the first to use heat pump technology both for heating and cooling of interior and the battery. That is probably the way ahead for the thermal managemnet of electric cars. But Zoe's entry to the market is too late to take advantage of the now almost negated electric car hype of two years ago, but it might be a means of bringing the E-car market back on track if it was througly debugged and works flawlessly as people expect of modern cars. Yep, that's right. I live in Canberra, Australia. The Leaf only has a 3.3kw charger but that's ok by me for the time being. We always seem to get everything about 3 years after America and for twice the price. I've seen the Zoe it looks like a cool little car. I didn't know it was built from ground up to be electric though. If it goes on sale tomorrow in the US, we won't see it until maybe 2015. I only just got to test drive the Holden Volt. The aussie version of the Chevy Volt. The holden Volt has an 85km range battery compared to the Chevy's 50km battery. But for $68,000 I don't know how many they will sell. Plus the Leaf felt like a nicer car and has 5 seats. The Volt only had 4 bucket seats.